What's that saying ... something like all good things must come to an end? Well, the peonies have come to an abrupt end this season. A hard downpour earlier this week hammered the poor peonies; they didn't have a chance. The lovely flowers that you saw here are no longer. Rather, they are now a sad lot with drooping blossoms and piles of petals everywhere. Daisies abound everywhere - not just in my backyard!! 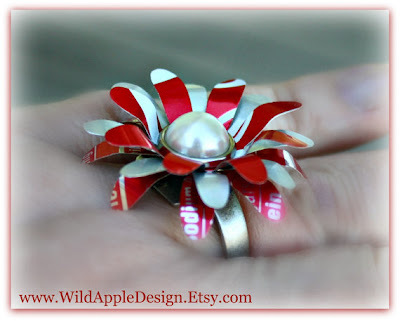 Take a look at this beautiful daisy from WildAppleDesign - it is an Upcycled Coca Cola Daisy Ring! 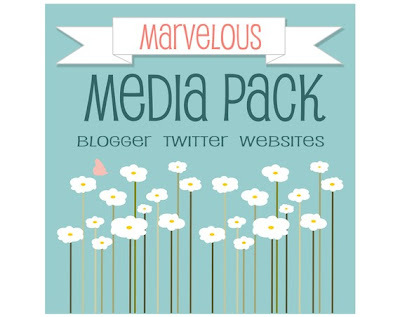 And if you love daisies so much that you want them on your blog, twitter, Facebook, and website, check out this Pre Fab Media Pack from kellyjsorenson! And remember to stop and smell the flowers as you hustle and bustle throughout the day! -Enjoying the puppy as he explores the puddles on our walks today - he's just like a kid, they are there to walk in! I love peonies! They are gorgeous but when it's all over, they are so dramatic. It always looks like a grisly murder scene. Thanks for including my daisy set in your post. 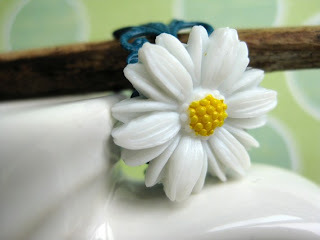 I have a soft spot for daisies. When my daughter was little, I would have her picture taken every year standing in daisies. Maybe I should drag her out there and take some pictures of her!